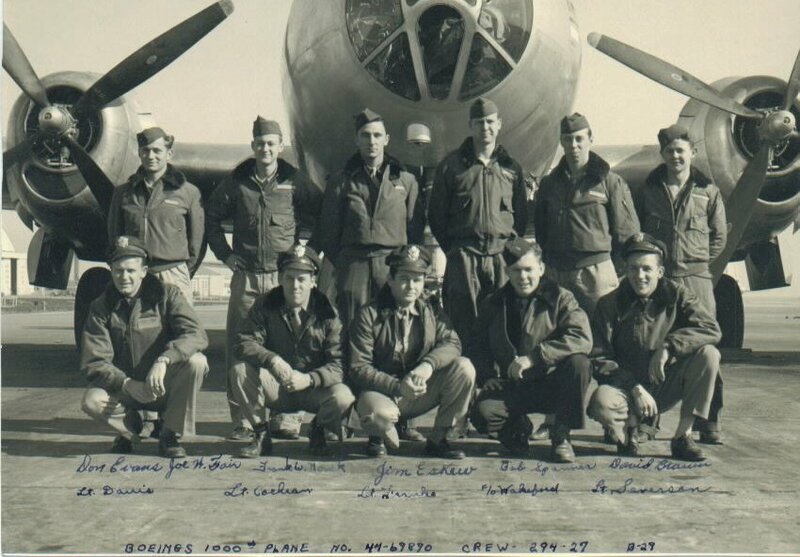 1st Lt Edwin F. Cochrane, Jr.
20 March 2008 - Added another photo of dedication of the of the 1000th B-29. 13 February 2006 - Added photo and press release by Boeing 1945 announcing delivery of the 1000th B-29 "Beoing Wichita" aka "The Antagonizer" to the AAF. The status of Stephen Franko, AC & Earl Davis, Pilot are unknown.